why would you want to live without it when it is presented like this? My job requires the use of internet. Everyone's medical records are on some type of digital program now. I have to have my job to survive, buy food, pay house payment, pay car payment, insurance, gas, so probably not. LOL! 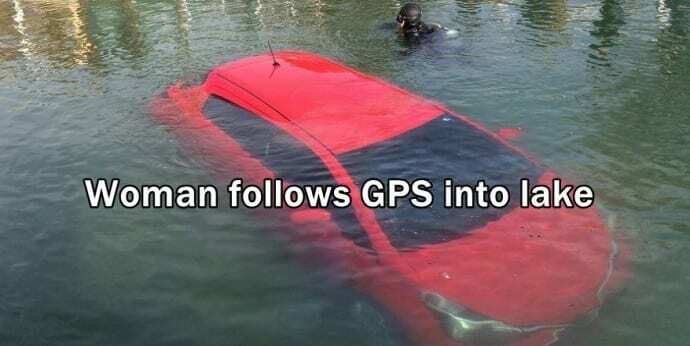 I'll keep my GPS, thank you very much! I had nightmares about those maps. 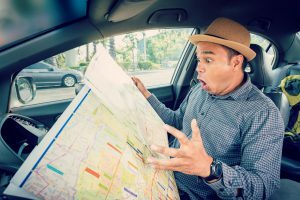 In the mountains of Northern New Mexico, a GPS can get you into a lot of trouble. You could even die. No one, and I repeat NO ONE who lives in places like that goes anywhere without a paper map or atlas in their car. Over here, we're constantly telling idiots not to reply on GPS apps and the like, and to take maps and compasses with them if they head out into the mountains/forests. And that they should know how to use them! You are all addicted, get real. That is one sleek, beautiful surveillance device. Remind me not to go to Northern New Mexico! The Thomas Guide was my best friend. They don't even make those things anymore iirc. Everyone BUT me has the internet? No one - including me - has the internet? I could survive either way but I would be at a disadvantage in business if everyone but me had access to information via the web. Most of us that remember life BEFORE 1994 have a far better chance of surviving without the internet than most people born after 1990. That's probably true but I think I'm the exception to the rule because I was born in 1990 but I'd be fine without the internet. that whole set up is nice right? Instead of shelling out the money for a new phone (his upgrade was due in a month or two yet), he ended up using a flip phone. Just to let everyone know - I don't have a smartphone! Sounds unbelievable, right? I don't have a smartphone either! Never have. I had a flip phone up until about 6 months ago but I rarely used it so I let that go when the money on it ran out, now all i have is a landline. Seems like most people (that I know anyway), family and friends, communicate almost exclusively through text messages so I am pretty out of the loop these days as nobody wants to call each other and actually *talk*. I'm of the generation that grew up with just landlines and so I would love for some of the technology to disappear and go back to simpler days where communication was more personal, but I know that time has past. Oh I donno, me personally, I often feel like I cannot consume any TEXT anymore!! It would be so nice to get a LOOK at you, for example, and hear your voice...? I can survive without water an electricity. I am ironman. whatcha say luv4u... that's taking it to the extreme. After the death of western civilisation and the collapse of society, I’ll be fine in the new Iron Age. I’m looking forward to it! I have several family members who don't have Internet... shock, they are doing;OK.
Yeah, I could survive not having the Internet. Its a very convenient and powerful tool to have and use, but it isn't a necessity. People use to ask the same question about TV. Several years ago the I.P. 's were pushing this notion... oh, you want be able to find or apply for a job if you don't Internet. Funny, the economy is booming where I live. Now you see interview Wed. & Mon., applications for jobs left on the counter-top or hung at the door with signs saying, "Help Wanted". As far as the Amazon echo and all its creations. Never in my home: Spy machines with shity security. Its a matter of time before people get burned and badly... I'm on count down now. No way, I'd rather be dead than living without internet.